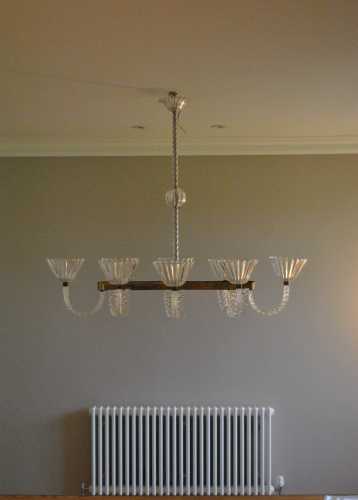 Art Deco Murano chandelier in glass in the style of Barovier (a leading Italian lighting designer of the period). Gilded metal frame with 8 glass shaped arms. Very stylish and perfect for over a dining table. The glass is all in perfect condition. To be rewired (hence no photograph of it lit).